Richard Porter, author of And On That Bombshell has a lot to answer for. He writes a regular column in Evo magazine, the brains behind the keyboard at scathingly funny motoring satire website, Sniff Petrol, however most interestingly you have likely seen his name pop up in the credits of your favourite motoring show currently on hiatus. 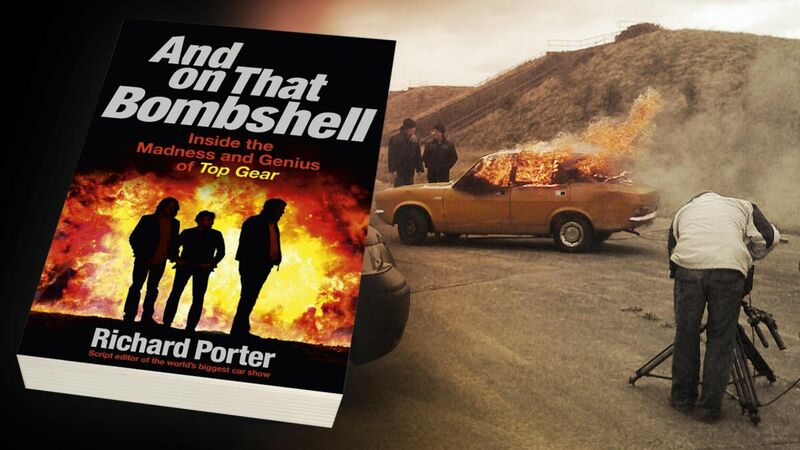 Porter was a script editor and researcher on Top Gear for 22 series and 175 shows, since the ‘old Top Gear’ days of Tiff, Clarkson and Wilson, right up until the fracas that took the world’s most successful TV motoring programme off air. And he’s written a book about his experiences, titled And On That Bombshell. I absorbed it in audio book form over a few weeks of commute and I’ll let you know this much: it’s very funny. No surprise, as Top Gear was hugely funny, as is Sniff. I was most intrigued by the chap himself, as apart from the aforementioned mention on the credits I had no idea on who he was, his background or his contribution to the show. It transpires Porter applied to an on-screen ad by Jon Bentley (yes, those eyebrows) who at the end of an ‘old’ Top Gear episode asked for researchers to apply. That was his foot in the door to an incredible career, for someone who had been working in a branch of Next! His tenure covers the demise of ‘old’ Gear, the excitement and initial failure of the new format – anyone remember Jason Dawe from season one? Didn’t think so. He tells us of the tussle with manufacturers to get review cars. Attempts to attract celeb’s to the unknown Star in a Reasonably Priced Car and also why they continued to run this much-maligned segment. And mocking of old-TG Chris Goffey’s jumpers. It’s all there. I soon found myself in the depths of YouTube watching back at clips of old shows and specials with some nostalgia; I remember most of them from their first TV play. 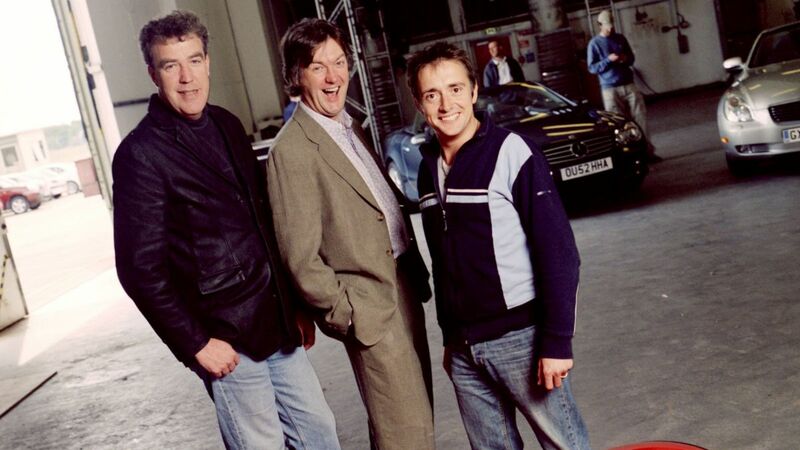 It took several years of ‘new’ Top Gear to reach the 350 million worldwide viewer peak it enjoyed in the early 2010s and Richard builds this picture whilst discussing many calamities that befell the production. Everything’s in here. 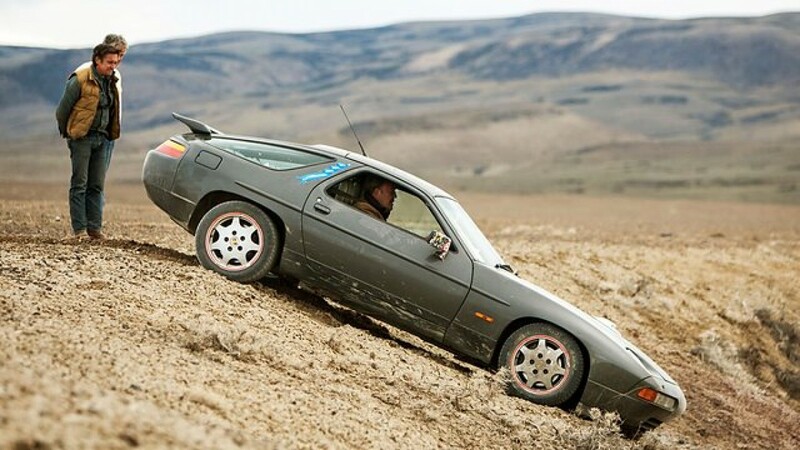 The Bolivia special. The Morris Marina enthusiasts and their furious response at TG’s casual attitude towards their destruction via piano drop. The various generations of Stig, including the Michael Schumacher reveal. On writing the gags (and getting away with them). The BBC and their surprising level of support for the show. And of course Argentina. With great anecdotes, hilarious situations and at the end a very sombre reflection as it all came screeching to a halt, And On That Bombshell is a must read for any fan of the show and gives real insight into the crazy antics behind the scenes of the worlds largest motoring show. And On That Bombshell is available on Amazon. For one of the biggest shows on TV I was surprised how down to earth the whole setup was, Wilman seems to play it humble in a 'remember where you came from', and Porter portrays the three stooges as what you see on TV as fairly similar to what they are like in real life. He was at Hammonds bedside after the crash too. There's so much in there.